So you’ve been dating for quite a while. You’ve met each other’s parents and everyone likes each other. It’s time to take the next step and get engaged, but there’s only one problem. Now you don’t want to force the issue. After all, you love your partner and you don’t want to pressure them. At the same time, it really is time they followed the advice of the great Beyoncé and put a ring on it. You need to show your partner how great life will be once you’re married, so start getting into practice now. Watch The Stepford Wives (the original – not the remake!) and stand in front of your mirror every morning, reciting ‘I am the perfect bride’ 100 times. Make your partner a cup of tea every half an hour, even if they don’t want one, and always have a cake baking in the oven so your home smells delicious. Make yourself completely indispensable and they’ll never want to be without you. NLP uses a range of techniques to take advantage of the connection between neurological processes, language and how we behave to change behaviour to achieve specific goals. This means that you can talk your partner into proposing without their ever knowing what you’re doing! Start dropping the words ‘marriage’, ‘wedding’ and ‘proposals’ into your everyday conversations. He’ll soon find that he won’t be able to stop thinking about getting married and he’ll propose just so that he won’t be obsessing about it all the time! Sometimes, people worry that getting married is going to impact on their social lives. Prove that this isn’t true by starting to build a social circle filled with married couples. Hang out with them for special occasions so that he can see how great it is to have a family of your own at important times in the year. Let him learn how great it is to be married. Pro tip: make sure the couples you choose to socialise with are happily married couples, otherwise this may have the opposite effect to what you want! If you’ve tried all of the above and he still hasn’t gone ring shopping, then try going the other way. Have your own social life away from him. Post on social media about how much fun you’re having and let everyone see what a great time you can have without him. He’ll soon see what he’s missing out on and what he could lose if he doesn’t pop the question. There’s no bigger incentive than knowing that your partner can be happy without you. Having proven to him that you’re the perfect wife by following the advice in Step One, remind him of what will happen if he lets you slip through his fingers. When you’re posting your updates about all your nights out, let him know that there were other guys who were interested and it was only your love for him that stopped them from getting anywhere with you. 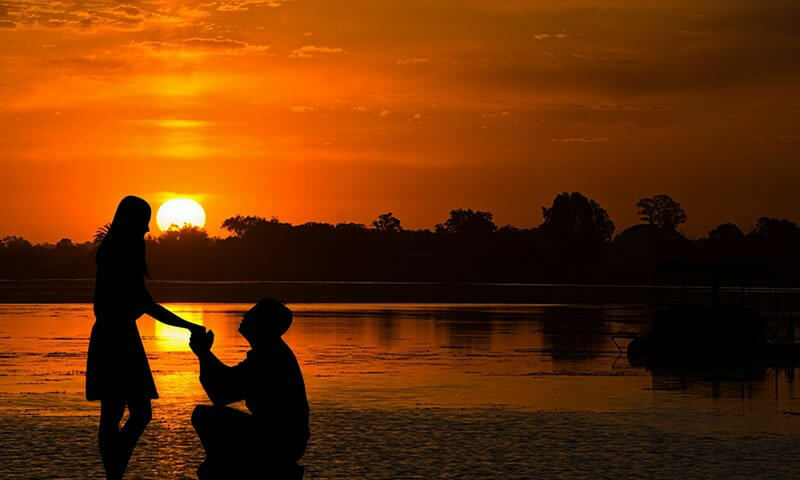 Once he sees that there are other men lining up to take his place, he’ll soon get down on one knee just to make sure you don’t run off with anyone. After all, if you’re not engaged, there’s nothing to stop you going elsewhere if you get a better offer, is there? Once he’s taken the hint and proposed, you’ll need to find your dream wedding venue. Look no further than Kippure Estate in Co. Wicklow – we’ve got everything you want. Visit https://kippure.com/weddings/wedding-venues-wicklow.htm for more information.